Out and about today, the first Vectron locomotive for Austro-Hunagrian operator GySEV: Siemens 22215 - GySEV 471 500. The livery of the locomotive is as presented in the artist impression in March 2017. Michael Raucheisen caught the locomotive with its camera this morning being readied for its maiden run in München-Allach. Now that is fast. 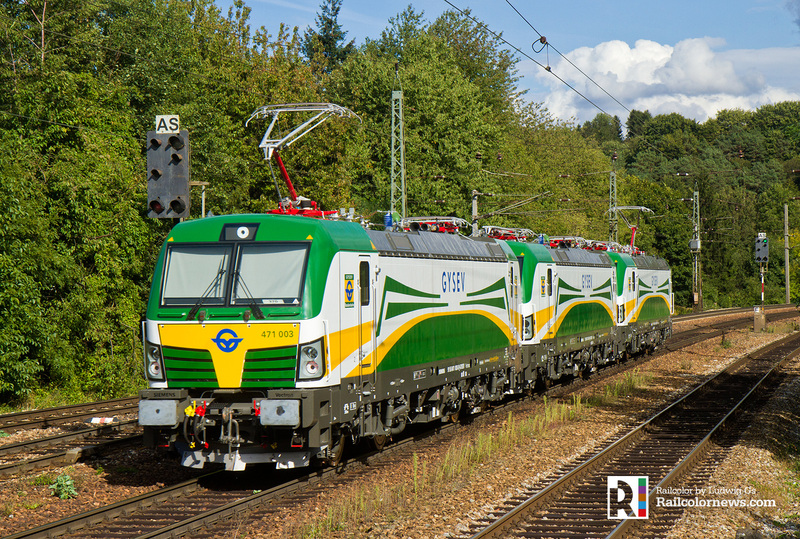 In only a few months, Siemens will deliver the first new Vectron locomotive to Austro-Hungarian railoperator GySEV. It will arrive during the summer, and four more will come this year. We expect that the multi system machines will be additionally homologated for Poland, the Czech Republic and Slovakia, as mentioned in the tender. The order will be financed using a loan from the European Investment Bank (EIB). The locomotives will be equipped with ETCS level 2. 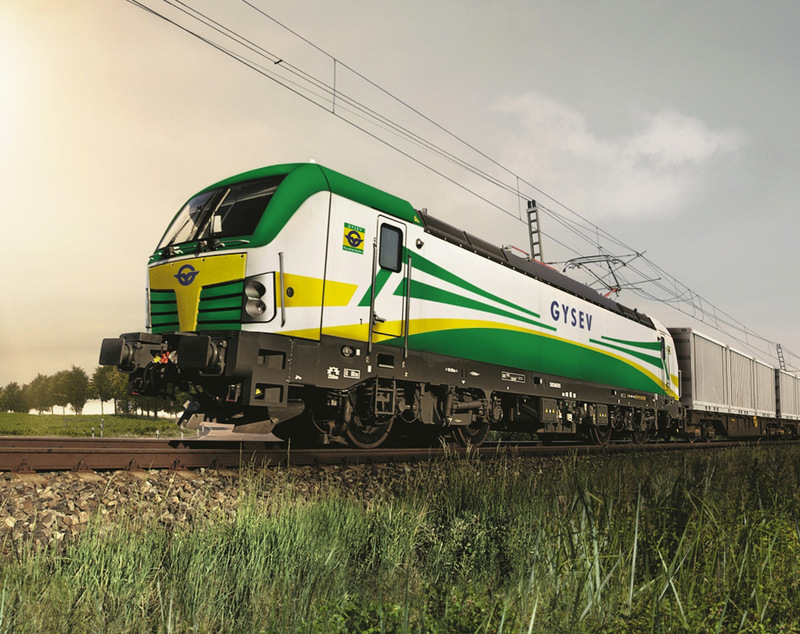 GySEV will use the locomotives for both passenger and freight transport, as it is doing right now with Vectron locomotives that it has on hire from ELL. For passenger services GySEV specifically mentions the lines Sopron-Budapest and Szombathely-Budapest. The Austrian-Hungarian operator wants two AC locomotives (15+25 kV) with additional shunting module. They need to be homologated for Hungary, Austria and Germany. After one year from delivery also Romania must be part of the country specific package. The shunting module may be built in later, but within one year from delivery. Three more machines are desired for services in Hungary, Austria, Germany and (later) Romania, Poland, the Czech Republic and Slovakia. 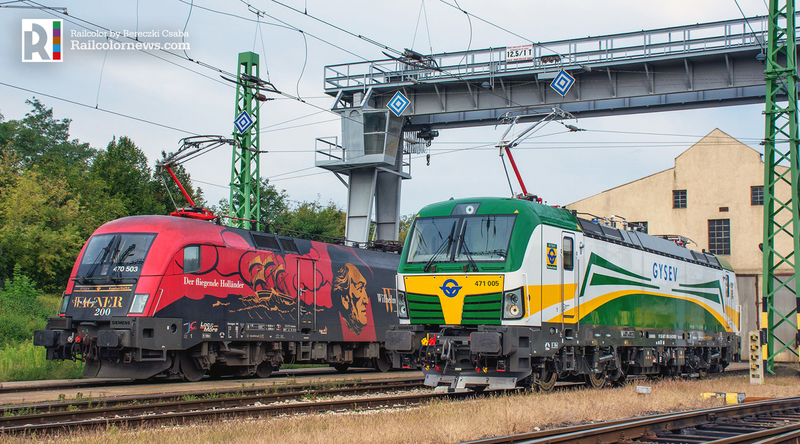 Railcolor: We assume that the machines the GySEV wants will predominantly used for freight trainsport (Last Mile shunting and long international corridors) and will be operated by GySEV Cargo. In 2014, GySEV already tendered for 9 new electrics. But this procedure was unsuccessful and cancelled. Since then GySEV had to change its fleet as it had to return the 1116 series electrics it was hiring from the Austrian railways. Since then GySEV hired ES64U2 electrics from MRCE, later on complemented by Vectron locomotives from ELL.